Travelling light and want to stay fresh and clean? 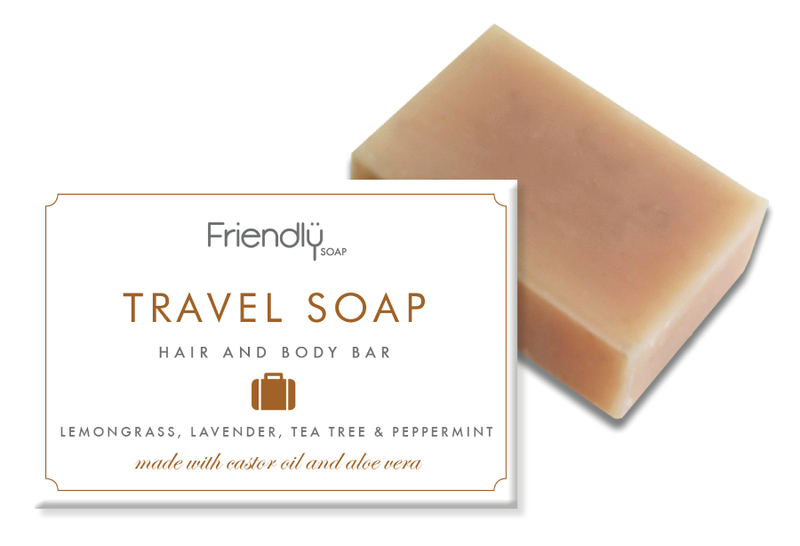 This travel bar from Friendly Soap is actually 3 staples of personal hygiene rolled into one. This bar can be lathered into body wash, shampoo and shaving soap; perfect for saving space on business trips. This space-saver even works well as a deodorant if you ever need to quickly freshen up. Natural ingredients and oils are used without parabens, with tea tree essential oil, peppermint, lemongrass and more created a soothing, aromatic washing experience. This bar was produced with zero animal products and is 100% cruelty free. The Friendly Soap Hair & Body Travel Soap Bar - 95g product ethics are indicated below. To learn more about these product ethics and to see related products, follow the links below. Took this on holiday to save having (leaky) shampoo bottles in my suitcase and was pleasantly surprised by this soap. It lathers really well and was soft but cleansing on my hair. By the end of the week, though, my long hair was in need of conditioner as it had become a bit 'fly-away', but otherwise, really impressed. I love this! I've tried a few shampoo bars, and this is the best so far. Which considering the price is wonderful as it's also the most reasonable I've found! Smells great, use on body and hair, feel lovely and soft afterwards. 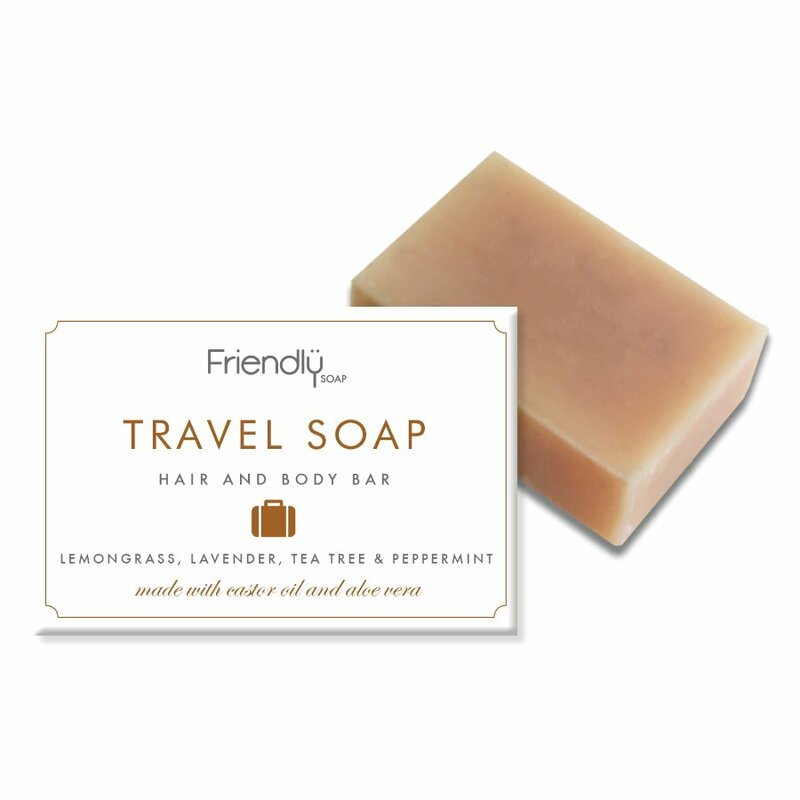 There are currently no questions to display about Friendly Soap Hair & Body Travel Soap Bar - 95g. Friendly Soap create natural, handmade soap in the UK using the traditional cold process method which generates no by-product. The soaps are made with natural oils and ingredients to nourish the skin, and as they are free from parabens, SLS and other harsh chemicals, they will not irritate the skin.